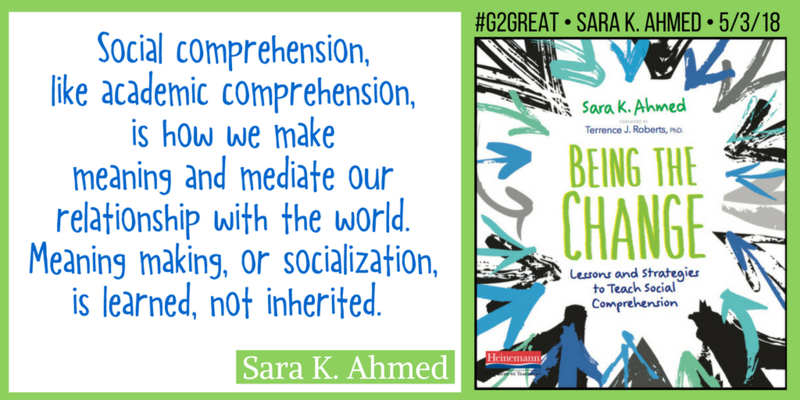 On May 3, 2018, we (me, Fran McVeigh, Jenn Hayhurst and Amy Brennan) were delighted when Sara Ahmed graced our #G2Great chat stage as first-time guest host. Educators everywhere admire Sara Ahmed, so collective excitement was high. 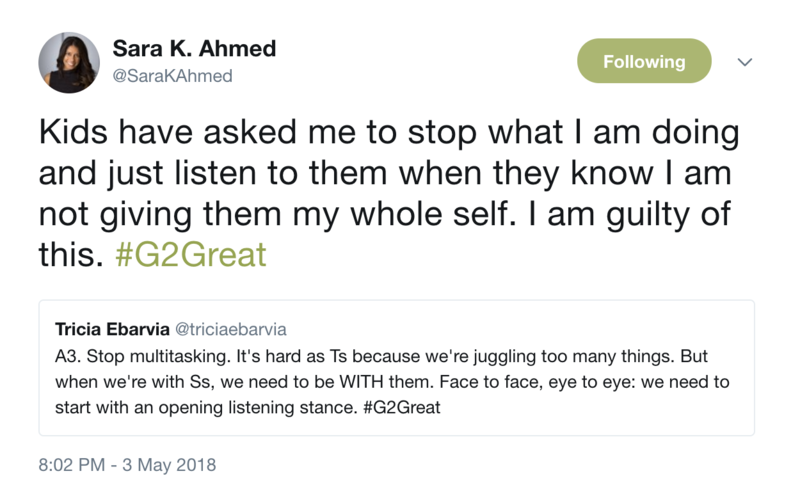 From the moment our #G2Great family settled in for a conversation around Sara’s exquisite new book Twitter style, Being the Change: Lessons and Strategies to Teach Social Comprehension, the virtual swarm of passionate tweets began to literally flash across our #G2Great chat screen at warp speed. I first began following Sara’s amazing work in 2015 when she joyfully burst into my professional view in a remarkable collaboration with Harvey “Smokey” Daniels: Upstanders: How to Engage Middle School Hearts and Minds with Inquiry. Since then, I find myself soaking in her brilliance and heart through social media, webinars or even face-to-face meetings at NCTE and ILA. Sara brings a lovely mix of humility, humanity and wisdom to all she does so it is always an honor just to be in her presence. 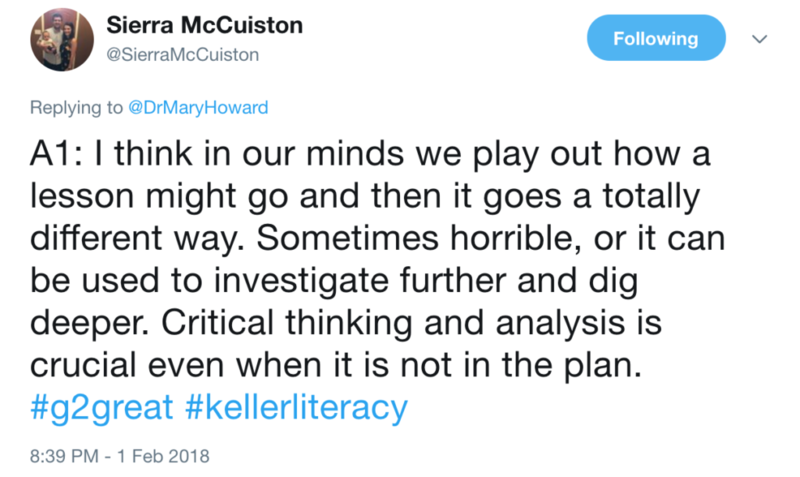 Whenever it’s my fortunate turn to write our #G2Great chat reflection, I usually gather tweets as a springboard for my thinking. But no matter how many times I perused each of our inspiring chat tweets, I kept wondering if my gathering approach could possibly do a topic of this magnitude justice. I did, however, find myself returning to one tweet exchange between Sara and Tricia Ebarvia since it felt so reflective of the underlying message of Sara’s beautiful book. This topic felt so big that I struggled to find a direction for this post, a struggle that continued as I flew home the night after the chat. And then it happened in the quiet solitude of the night sky! Without warning, one of the most amazing and humbling experiences of my life flashed into mind and the direction of this post came into view. I wasn’t sure how looking back would translate on paper but I loved the idea that Sara was part of this looking back. The experience is still fresh almost two years later, so heeding the beckoning of a lingering memory seemed important. While my memory of actual event was clear, I’m grateful to my far younger and thus far better ‘rememberer’ friend, Justin Dolci, for jogging my date and place memory). The experience I am going to share invited me put it in writing, so this is a personal reflection of social comprehension from an insider’s view. Therefore, I will be taking some liberties with this post by setting my sights on an adult perspective. 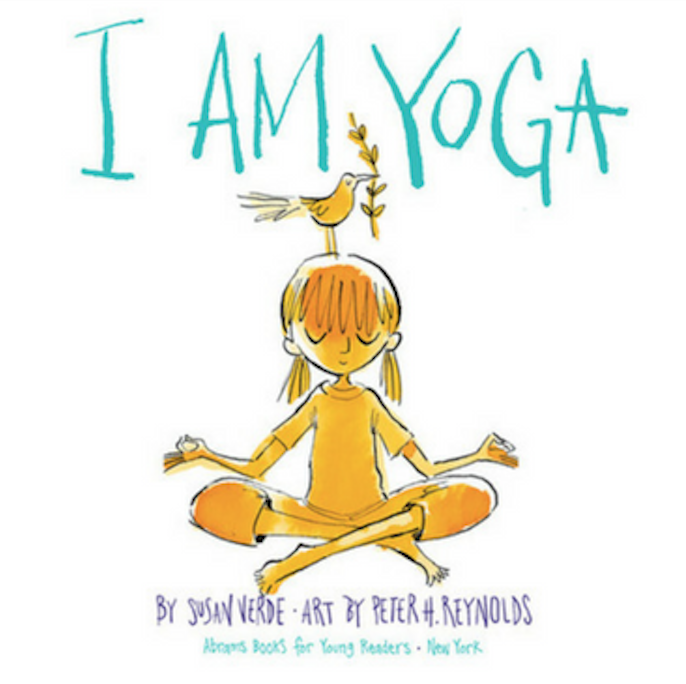 I believe that we cannot be our truest best selves for children until we become our truest best selves for ourselves first. The promise for Being the Change begins within each of us and so the work starts by gazing into a reflective mirror as we ponder the misconceptions that may be thwarting this important work ahead. 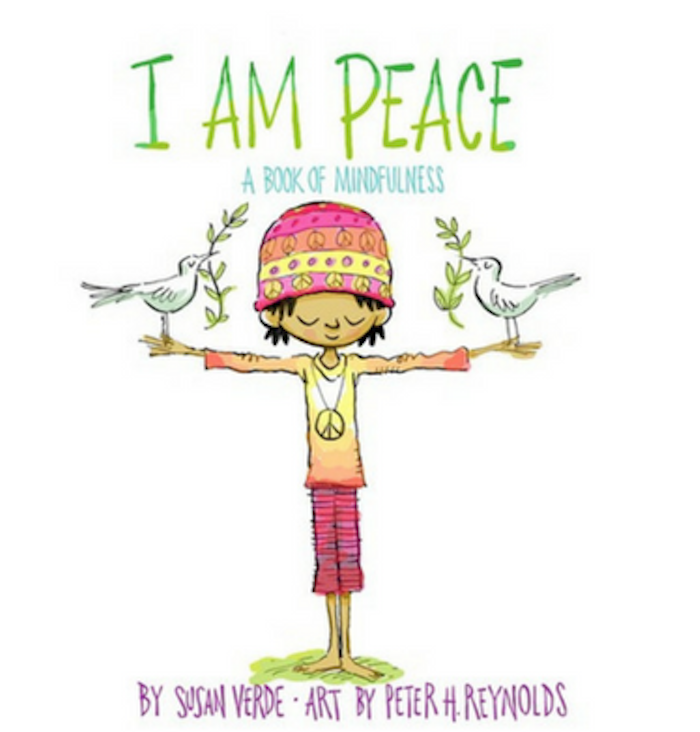 I am suggesting that being the change resides within each of us and therefore we must have a laser focus on ourselves before we can have a lasting impact on our children, I’m going to do this by looking back so that I can look forward. Cornelius opened the stage to anyone who wanted to share their stories for the group. Heartfelt personal reflections of struggle, pain, and loss were recounted as quiet sobs reverberated across the room. The raw human emotion was palpable, and each story lovingly reached out and touch anyone lucky enough to be in its path. I listened to each story as tears fell down my cheek, feeling pure gratitude to be in that moment in the presence of such courage. Yet I still vividly recall conflicting emotions washing over me. On one hand I felt humbled that strangers would trust this little old woman from Tulsa Oklahoma with their heart, confident that it would be received in love! But at the same time I felt an odd sense of shame I couldn’t shake. Suddenly I had an overwhelming desire to stand up and thank these brave educators for sharing their lives with me. I wanted to walk across that room and hug those who spoke as well as those who listened. But what caught me by surprise was the nagging sense that I needed to apologize. I am still struggling even now to understand that odd mix of gratitude and guilt in a small love-fueled room in Boston. I didn’t know what I wanted to say but suddenly I felt like a coward for not saying something. After all, how could I sit in silence and fail to return their gift of courage? I still feel the shame that held me back from standing bravely beside these beautiful courageous humans and express how I felt in that powerful moment, believing that my story would seem so small. But as I write this now, I wonder if feeling connected in that room was what I was meant to do – or perhaps it was all I knew to do at that time. I wish I could have been brave in that moment, but maybe sharing how I felt wouldn’t have been so brave after all. I had never experienced this kind of unselfish giving but looking back I think I was looking from a loving lens but also from a selfish one. Forgive the double negative, but I felt ashamed that I could not NOT be a 68-year old white heterosexual woman born in the U.S.A. into a middle-class family with loving parents who shielded me from world terrors and close-knit siblings who continue to wrap protective arms around me. Somehow, gratitude and shame intermingled as I felt conflicting desire to express my love for everyone in that room while also wanting to apologize for who I am. Others have written about this amazing experience far more eloquently than I am able to do in this emotion-laden moment including Julieanne Harmatz and Carol Varsalona. But I am grateful to Sara for giving me the words to be able to relive this from another perspective in a moment I will hold dear for the rest of my life. I am ready to acknowledge the guilt of that moment but also to let go and celebrate this opportunity to have lived it and see only the blessing of that lovely moment. You see these beautiful humans showed me that we must learn to be open listeners even if the lesson took awhile to reach me. These caring strangers who surrounded me taught me far greater lessons than speaking up would have done at that moment. Maybe choosing not to stand up to share my voice was not the point. Maybe it was about being sitting quietly with an open heart so that I could truly bring my whole self to the experience. I’m not sure why it took two years to understand this lesson, but I am grateful for the opportunity to relive that moment from a new way of seeing. The love I felt for everyone in that room in Boston is as real to me now as it was in 2016. As I write this, I am reminded of Sara’s beautiful message: Doing the work of social comprehension erodes the boundaries between “us” and “them.” I hope I wasn’t inadvertently doing that since eroding the boundaries requires us to acknowledge the thinking that resides deep within that can blur those boundaries. So I am standing up here and now sharing my heart through my fingers on a keyboard and using that experience as a learning opportunity. Looking back is a lovely reminder that all of our stories matter, regardless of who we are or what we look like or what experiences we can or cannot bring to the conversation. What I do know now and what I want to remember is that feeling of love for strangers who crossed paths and thus hearts so long ago. Maybe deep love and appreciation for others is what social comprehension is all about. I’d like to believe that relationships are the undergirder of this process. 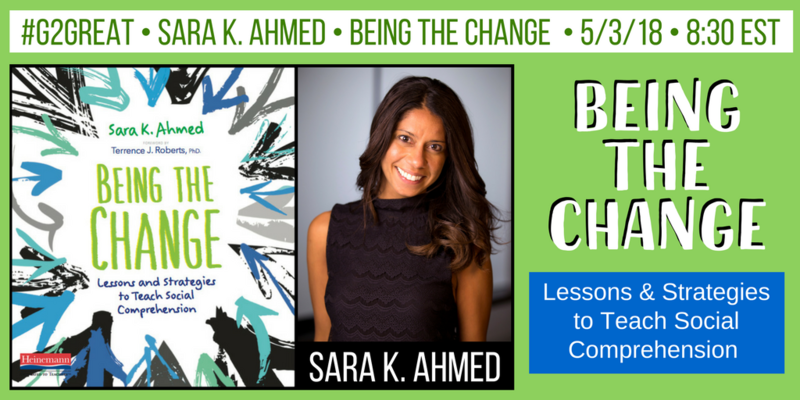 In her book, Sara’s resounding message comes through loud and clear that “kids are our curriculum.” It seems to me as this flood of memories hovers over me that the world really did hand me a curriculum in that moment. And when the world does so as it certainly is doing these days, we can be moved to broaden our scope by making our work with students the impetus that has potential to change not only how we view our schools but how we view ourselves, others and the world around us – and how we CHOOSE to interact with each of them in a way that will leave a positive mark in this world. I’d like to believe that the next time I feel compelled to share my heart willingly with gratitude, I would choose not to let my whiteness stand in the way of being brave. This seems so important since I’m not sure that I can bring my whole self to children unless I can bring my whole self to adults. Suddenly this work seems so much more expansive and ever so critical! I am comforted by the idea that we can make the world a better place in our own way even when we are not even sure how to begin. This beautiful book is our heart guide as we embrace social comprehension and the ever so relevant transparent conversations that are essential to that process. Without even knowing it, Sara helped me to understand that if we’re willing to engage in open listening and to bring to each experience a compassionate heart as an observer of the world… well then the stories that others so lovingly bring into our lives could fill our hearts and minds with the fuel that could implore us respect the identities that we all bring to this world. I now understand that every story has value – even my own! 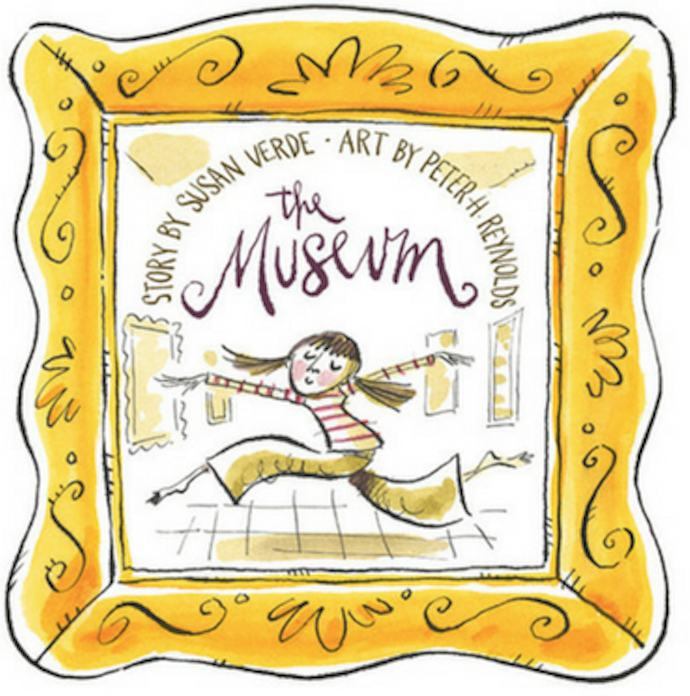 Peter Reynolds and Susan Verde joined together, just as so many other do – to share in the collective curiosity that is sparked by picture books. Through their collaboration in creating their books they have SPARKED the COLLECTIVE CURIOSITY of so many others. Read the tweets below to see how they have enriched so many teaching lives. Collaborations can happen in dialogue or creation, and oftentimes collaboration leads to both. We can engage our students in read-aloud through accountable talk through partnerships and whole class grand conversations. When we invite students to share a book it helps to create a community. It builds a shared experience that potentionally expands from the classroom to each and every contact that each member of the classroom community has beyond the classroom. Reading inspires writing. When we invite our students to listen with a writer’s mind it can spark the writing process for our students. 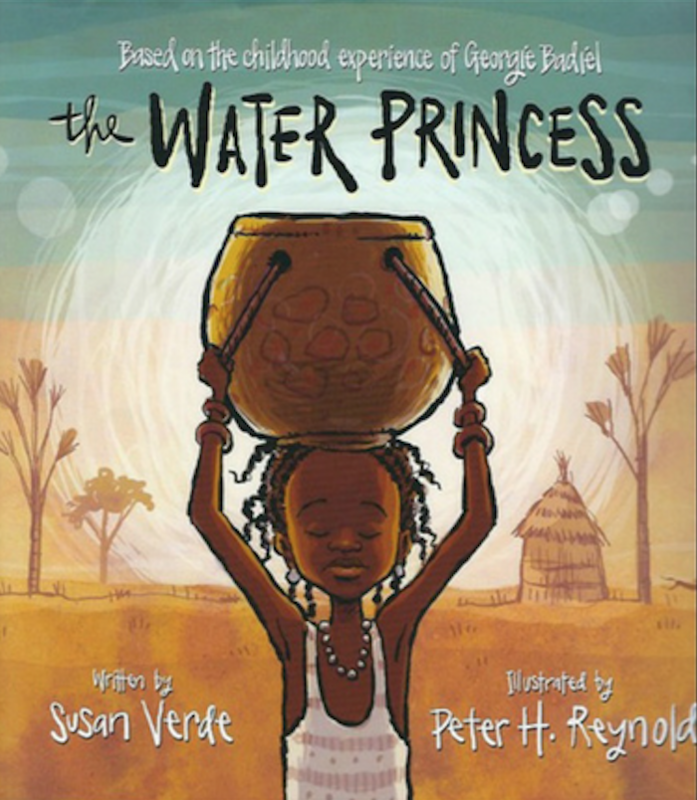 Students can create their own writing pieces through reflection and connections that grow during the shared experience of reading a powerful picture book. These words, once written can change lives because the dialogue or creation that comes from sharing picture books can create waves of change that spread messages of hope, wonder, joy and peace. Picture books spark collective curiosity when they are shared, discussed and extended through creative expression. 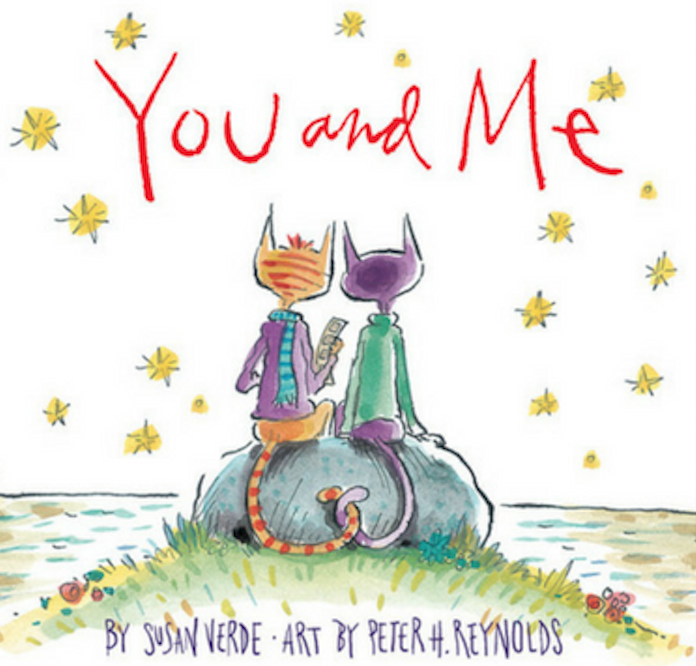 Peter Reynolds and Susan Verde have collaborated on several books that beg to be shared, discussed and extended. These collaborative creations have the power to spark our students to take action and make the world a better place. 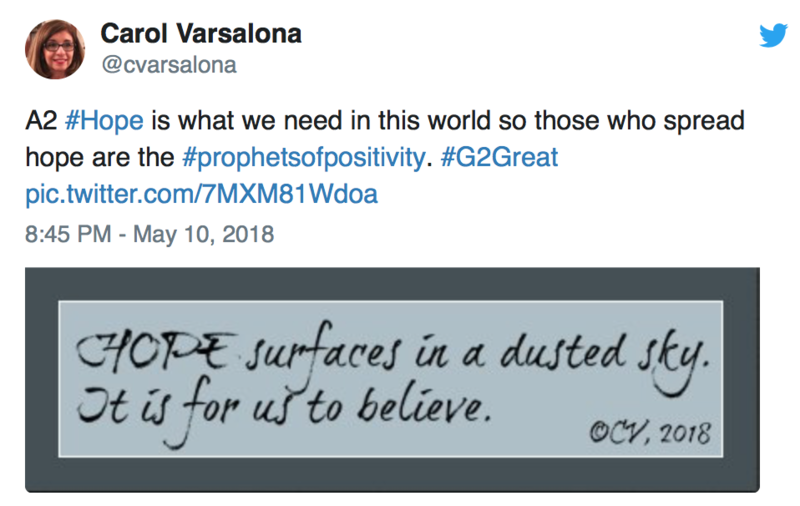 As I meandered my way through Storify to write this week’s blog post, I realized that the #G2Great community is totally stoked in reflection! You all shared practices and insights and this lifted my spirit in ways that were both inspiring and reaffirming. 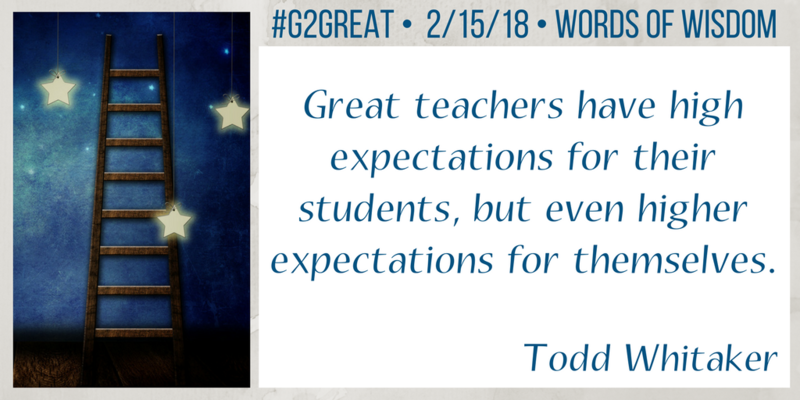 On January 18, 2018 #G2Great was honored to have Thomas Newkirk as the guest host. 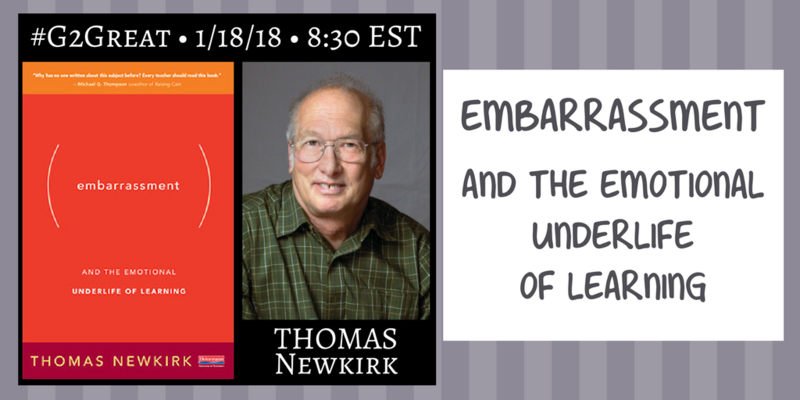 Thomas Newkirk has long been an eduhero of mine, two of his books, Minds Made For Stories and Holding on to Good Ideas in a Time of Bad Ones greatly shaped my thinking and learning. His latest book is the one he joined us on #G2Great to discuss and I could tell as soon as I read the beginning pages it would be another book to impact me deeply. In the beginning pages of his latest book, Embarassment and The Emotional Underlife of Learning Thomas Newkirk talks about the pages of the book being “the help we need, the voices we need to hear, the barriers we need to overcome.” He explores the “emotional underlife of teaching,” a topic that needs a space for analysis and discourse. 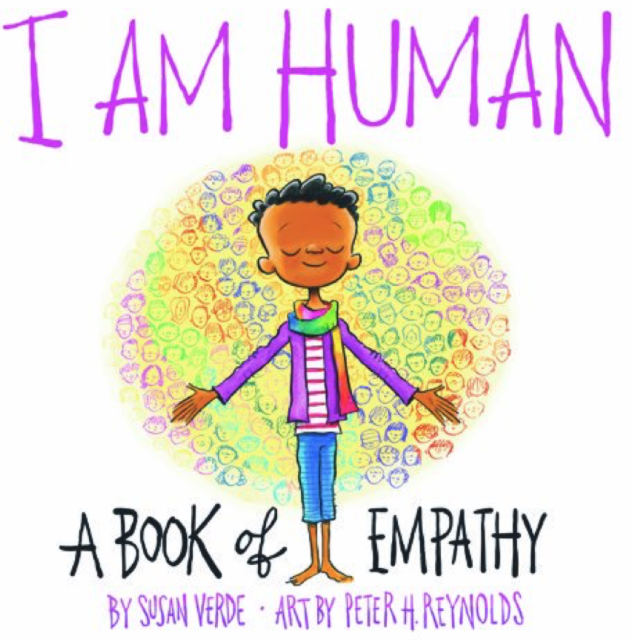 As I read through the pages and reflected on the #G2Great twitter chat I came to realize this is exactly the book we need in education today. I watch students and teachers silently struggle, not taking risks, hiding their embarassment by deflecting attention from teaching and learning to trivial topics that are mere distractions from the fear of revealing themselves. All of this because they fear the consequences of what comes by revealing their own struggles. My husband watches sports, every sport, all the time. I used to watch with him and now I just watch once in a while and with a completely different lens. Athletes and their audiences view mistakes or failures publicly and then move on immediately. Newkirk spoke with athletes and their coaches to better understand how they develop the capacity to face embarassment,move on and try again. In the moment athletes have to recover from setbacks, they have to clear their heads and try again. This is how they continue to take risks to perform their best. They do not let the embarassment lead to cautious and limiting behaviors. Newkirk points out that athletes have coaches and teams that support them and say it is ok, move on. They get past the failure. We need to be more like coaches and teams in order to create supportive environments where we learners can try, fail, try again and find success. We have to acknowledge that learning in education is just like sports, we may experience multiple iterations before we see success and likely we may suceed once in practice but when we are in the game, we might fail. We need to clear our head of that particular failure and try again. We can experience multiple iterations of something before we get it. We have to allow that for our students and we have to allow that for ourselves. Let’s talk with the team, create a safe environment where we can look at how we do something together and then support each other in moving past that to build the capacity to be resilient and not allow embarassment to get in the way of our learning process. As I look at the walls of my family room I notice that they are adorned with frames with pictures of my family. Each one frames a particular moment in time, holding it as a precious memory of a time when… Those pictures capture a particular moment in time. You cannot tell from that one picture what happened before or after or even what I was thinking before or after. When looking at the word frame in reference to a movie or film which tells a longer story, the frame is a single one still photo that is part of a series that creates the film or video. If we can learn to frame the fear you can see what comes next and it does not have to be catastrophic. The more we push past the fear frame the more we will become reslient to failure and allow ourselves to try again which will ultimately lead to continued growth and learning. 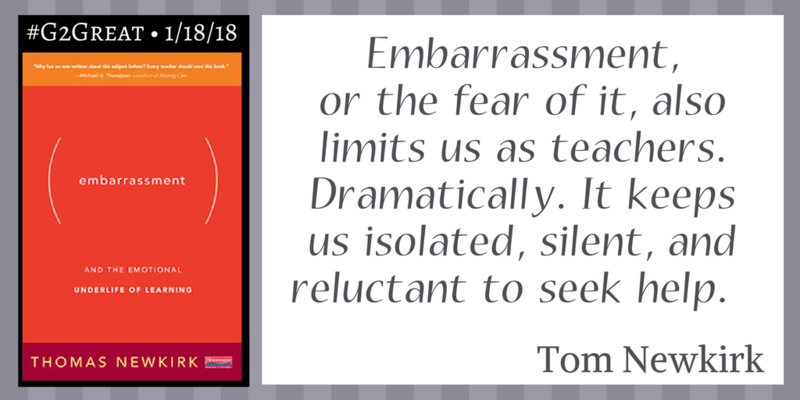 As we share the struggle with our colleagues and students and create spaces for ongoing talk with the team we can begin to frame the fear that we have for embarassment. It is then that we will be able to allow ourselves and our students to take risks as learners to grow. Check out the Tweets below from the #G2Great chat. My heart just explodes with pride every time I utter those lovely words. 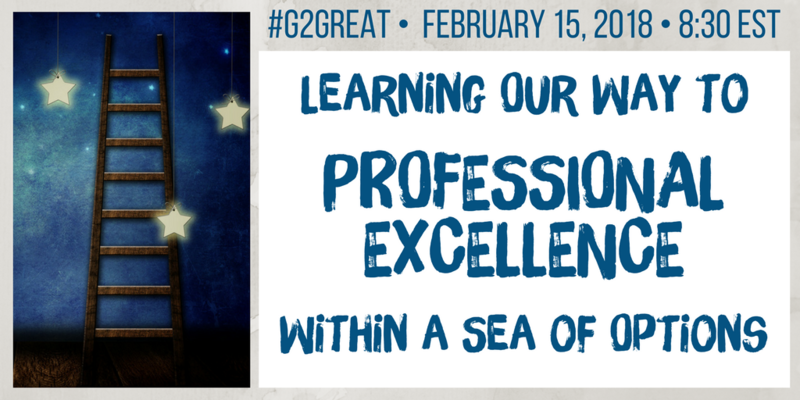 #G2Great first opened it’s professional collaboration doors on January 8, 2015 after Amy Brennan and Jenn Hayhurst invited me to join them in a six-week exploration of my book, Good to Great Teaching. Our journey over the past three years as moderators and behind the scenes co-conspirators was recently expanded when Fran McVeigh joined the #G2Great party. 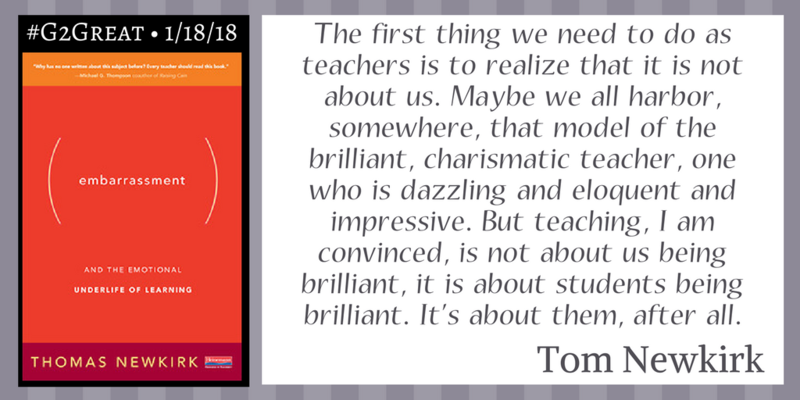 We never cease to be amazed at the remarkable way #G2Great has blossomed into an celebratory exploration and yet we know that this is far less about our efforts and far more about dedicated educators who show up each week to share their devotion to this amazing profession and to the children who inspire us to continue our own learning. 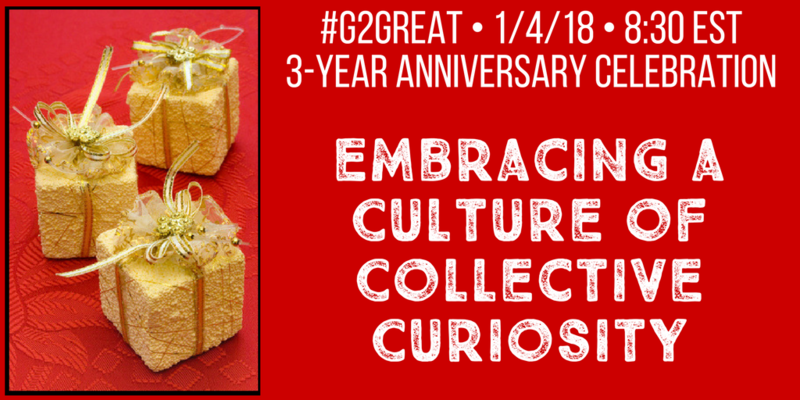 We chose the title of our anniversary celebration on January 4, 2018 quite intentionally as we believe that Culture of Collective Curiosity defines the very heart and soul of our #G2Great family. 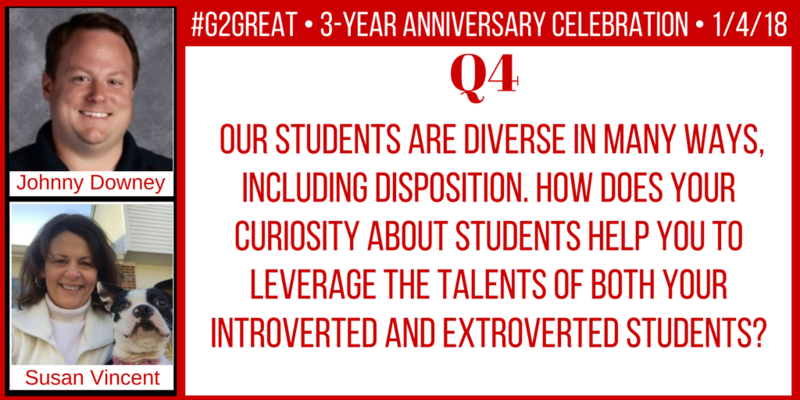 Each week as the clock strikes 8:30 EST, #G2Great immediately transforms into a passionately curious community of learners Twitter style. We share. We question. We dialogue. We wonder. We explore. We dream. We imagine. We do all of this based on our collective desire to enrich the learning lives of children and an unwavering determination to do our best work in their honor. We know that our curiosity is the driving force of our efforts and that it can lead us on a joyful quest for excellence. We know this journey is best traveled in the company of others… and so we do. In celebration of this passionate curiosity inspired collective journey, we decided to turn the #G2Great reins over to some of our friends who have supported our learning endeavors over the years this week. We asked each of them to collaborate with a partner to write one of our questions and then to respond to those questions on this blog. 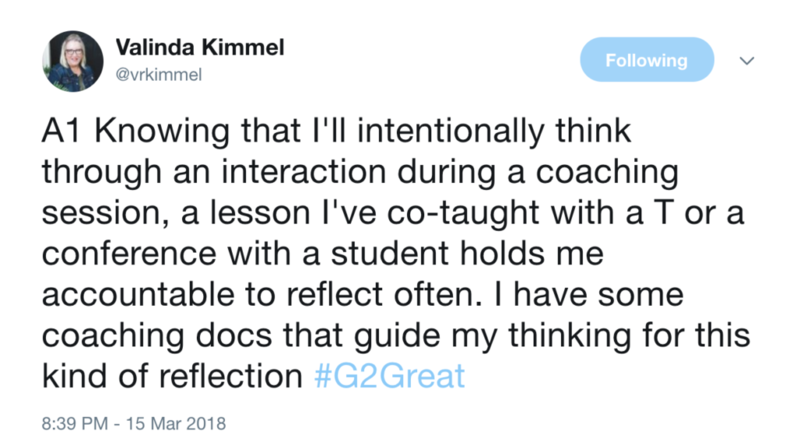 After you finish reading their amazing thinking, be sure to read their reflections along with others about what #G2Great has meant to each of them. aWe hope that you will then add your own thoughts using this link. This week it’s all about you friends and how much each of you mean to us! I believe we are all fortunate to be teachers. In my experience, teachers are innately curious. However, it is very easy, in the rush of lesson plans, meetings, and bell driven schedules, to push that instinctive curiosity away. It is important to be mindful of what is uniquely organic for those of us blessed to be teachers. To be curious with intention means to stop and reflect about what matters, despite all the distractions. The outside diversions are minor compared to our mission of keeping curiosity and vibrancy alive in ourselves as educators to best support our students in their path of curious adventure. I started this year not purposefully pursuing curiosity in my classroom. I believed that this was an innate skill kids just had. Not knowing that adults and teacher in particular have done much harm to student curiosity. Why do we need to be curious to write exam? Complete essays on main idea? The fact is we don’t but I noticed that students were just going through the motions. Finishing assignments because they had to not because they were passionate about it. Realizing this I started looking more into Voice and Choice and Inquiry. The change has been eye opening. Students are asking to have extra time to work, they are realizing they are in the driver’s seat not just passengers checking off assignments. I wish I had started asking more questions and providing less direct instruction when I first started teaching. I still do lessons on the mechanics, I introduce a writing form we must cover but they get to explore the topics they want (fitting with the outcomes and standards) If they have nothing they wonder about we will dive into Non-fiction look at the world around us. Curiosity is the both the driving force of discovery and the byproduct of it. Learning new things will breed more curiosity. I was always under the impression Inquiry was reserved for Social Studies and Science I have learned the error in my thinking. What greater time is there to explore the world and what we wonder about than with a million books at our fingertips? When our teaching and learning are driven by curiosity, our students become the curriculum. Our lens shifts to one of uncovering strengths and potentials. We listen and watch with intention in order to determine where we fit in each students’ path of learning. Our curiosity as educators ignites our own learning. It keeps us questioning and wondering. We become investigators and researchers, always asking ourselves, “What are the opportunities for learning here?” Approaching teaching and learning with an air of curiosity means that we see the world as being filled with possibilities. For curious educators, learning never stops. Teachers consider many differences in their students as learners, but how well do we honor different dispositions? Introversion and extroversion directly affect students’ development as learners. It’s not about being shy or social. It’s about what drains your energy and what recharges you. It’s about which environments help you think and which shut you down. Knowing about the specific needs of intros and extros can help us orchestrate a learning environment that encompasses the needs of all our learners. “Whoever is doing the talking is doing the learning.” This popular quote always makes me feel odd, because it isn’t true for me. I think I’ve learned more in my life by listening and reading than talking — but that’s because that’s how I’m wired. Schools today have placed great value on group work and oral participation in class. But this may be at the expense of those who need quiet solitude to generate thoughts and express themselves through writing more easily than verbally. Are we honoring every way of being and learning in our classrooms? Speaking from very personal experience, I need other humans in order to do my best work. I need to talk and bounce ideas around before I am able to implement a plan. My strength is collaborating with others. When thinking about extroverts in the classroom, these needs can have a very negative appearance to a teacher. It may appear as though we are goofing off or not doing the work because others are involved. In the real world, how many times are we allowed and even expected to work with other professionals? Let’s allow and even expect our extroverted students to work in this way. We are going to better prepare them for the future as well as cultivate their strengths. We can leverage so much out of our students by allowing them to work in the environments that best meet their needs. The concept of students expressing curiosity and wonder is very near and dear to my heart. The answer is plain and simple: there is ALWAYS an opportunity to foster creativity. I’ve heard many teachers say they get worried about altering their plans since it may be different than their teammates. First off, you as the teacher know what is BEST for the students that are in YOUR classroom. If you feel something should be altered or changed to allow more creative flow than it is your right to do it! To be honest, some of my best teaching has come from an “off the cuff” discussion with my students. You are the facilitator of learning, and the students are the thinkers. Always allow your students the ability to have a “productive struggle” in which they can think for themselves and create a world of wonder and curiosity! You will be simply amazed at the results! As schools have traditionally been institutions of learning content/knowledge, it is difficult to break from the status quo and transform what schools should look like today. Although content is readily available to everyone, we still see students struggling in school. Therefore, rather than focusing on concepts and content, as educators, we need to focus on developing skills and competencies. If students knew how to find, reflect, analyze information, if they could formulate ideas, communicate efficiently, create innovative ways to demonstrate their learning and solve problems, content would not be as big of an obstacle. Our most important mission is to inspire and allow for curiosity and fun in learning. We need to give students the gift of time for their learning. Do not expect every student to be at the same level at the same time. 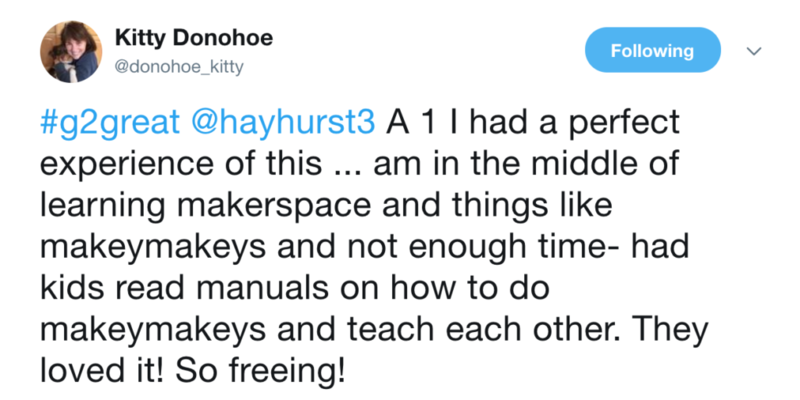 Give students the freedom to develop their knowledge at their pace. Let them experiment with knowledge and content and to build their own context. We need more passionate learners, more driven and engaged students, rather than compliant individuals who are only done as they are told. We need students who will question, who will break status quo, who will make this world a better place. We are all born with immense curiosity. Life is so much more rich when we engage with ideas shared by other people and our own thinking about our surroundings. We need to tune into the thoughts that fill our heads. Our professional curiosity is sparked in three major ways: observation, conversation and reading. Each one feeds the next in a continual loop. We have the privilege of spending our days watching students and teachers (from elementary school to graduate school) in action. We’re always attending to their moves, the messages they communicate in verbal and nonverbal ways and the way their interactions facilitate learning. This quiet observation and notetaking is endlessly stimulating and it makes us appreciate the power of the relationship between the student and teacher and how effective classroom learning can be at every age. Observation is life-changing. We’re in continual conversation with our colleagues in real life and in our strong digital PLN. (Hooray for #G2G! This conversation is our favorite of each week!) We are so much stronger when we listen to other people’s experiences and consider different points of view. This is true of our conversations with students as well. Hearing their ideas always shifts our teaching and makes us curious about the ways we can connect more deeply. Reading; that’s just a conversation between an author and yourself. So every article, Twitter Feed, and professional book we sit with makes us curious and want to learn more. Professional curiosity is what propels our growth. It’s easy to stay curious, there’s so much to learn! Three years ago my life changed forever when two educators I’d never met, Amy Brennan and Jenn Hayhurst, contacted me about doing a six-week book study chat for my book, Good to Great Teaching. Looking back on the email that gave birth to our #G2Great weekly Twitter chat, I am reminded that I was oblivious to the magnitude of this life altering moment and how its impact would exponentially multiply from that day forward. I have been blessed to collaborate weekly with my amazing co-moderators Amy, Jenn and our most recent addition Fran who are all now treasured friends. 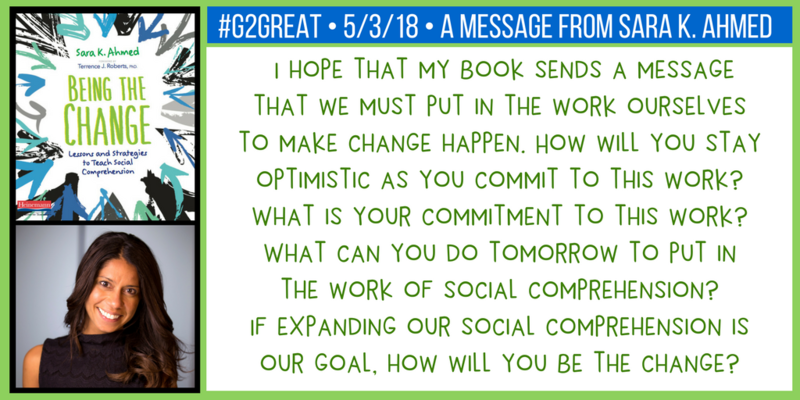 We enthusiastically do the behind the scenes work that translates into each chat but there is no question in our minds that it is each of you who give #G2Great life. I have made more friends than I can count, friends I know I’ll hold forever dear in my heart. I sit in front of my computer every Thursday night bursting with pride that so many educators from across the globe spend one hour pondering this remarkable work we all do in the name of kids. Each of you willingly share your professional hopes, dreams and aspirations for education by graciously showing up Twitter style so that we can join joyful forces to explore possibilities in what has become a celebration of children and the teachers who change their lives. We are so grateful for each of you because we know that #G2Great would be little more than a hashtag and what began as a book study would have come to a close at the end of those six weeks without you bringing your heart to the chat experiences. We are inspired by your dedicated commitment to kids and that unwavering devotion is the impetus that keeps #G2Great thriving for three years and counting. Thank you for all you do to enrich the lives of children – and in the process enrich ours! I’m a newcomer to the #G2Great team, but not to the #G2Great chats. I know that I can count on my fingers the number of chats that I have missed over the last three years but the impact of #G2Great is beyond all measures. Mary Howard’s Good to Great Teaching: Focusing on the Literacy Work that Matters heralded a pivotal change in my work in professional development. I had the opportunity to put words (Mary’s of course) into moving teachers from unconscious and/or moderately productive practices to conscious and more productive choices in instruction, environment and use of time. I was thrilled. 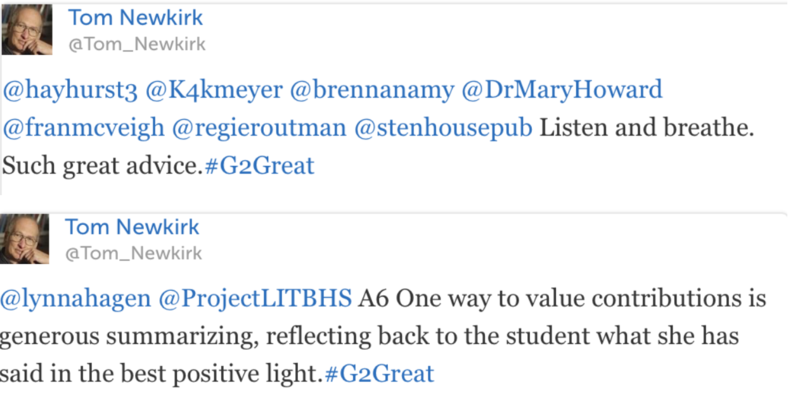 And then I found the book study group, the twitter hashtag #G2Great, storifies of the chat, and the blog posts. Thursday nights became the inspirational point of the week. Our chats became the focus for reflecting on our own teaching practices as well as inspiring and aspiring to continue to grow and intentionally be better – each and every day! The book, the chats, and this group consist of dedicated teachers searching to be the best teachers in the world. Seeking out answers to puzzling problems. Pondering behaviors that have been relegated to “less than desirable practices” for several decades but that continue to exist behind closed doors. Actively growing knowledge and skills to become better, stronger teachers. 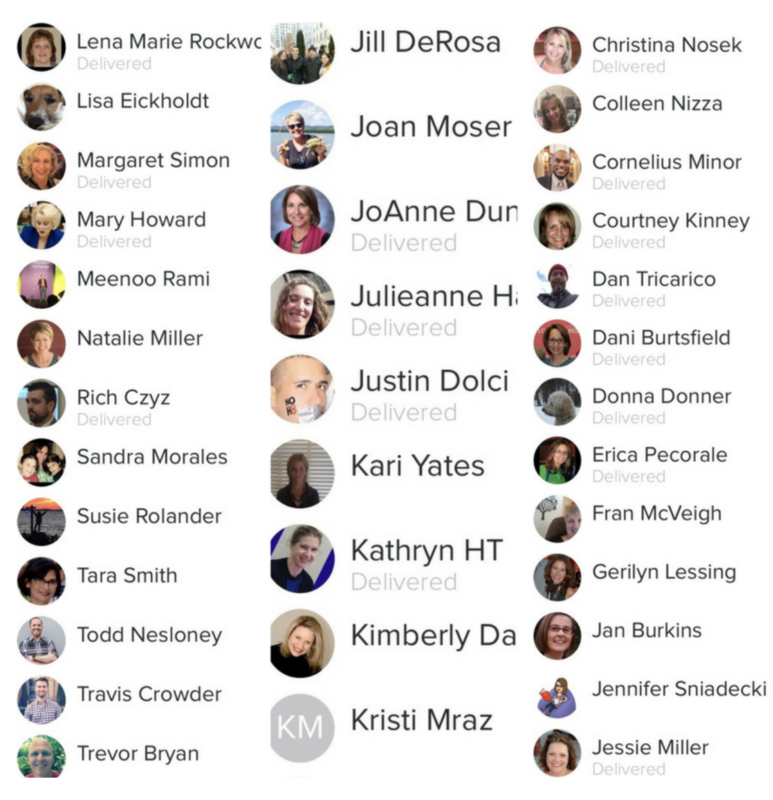 Together the #G2Great community has grown to include dear friends from across the entire country who are generous in their time, energy, thoughts and wisdom. I am truly blessed to be a member of this community that convenes on a weekly basis to “be all that we can be” collectively. The reason why it’s so important to offer choice for our students is because our choices impact the way we live our lives. Sometimes, our everyday choices will change our lives in ways we cannot even imagine. The initial collaboration that began with my hopeful tweet to Amy, and then Mary launched me into a passion project that has lasted three years, and counting. That does not even seem possible! The reason I came to Twitter was because I longed to grow a community of collaborators who shared my love for teaching. So much has changed since then. Now, I am part of a dynamic community of people who offer an incredible wealth of knowledge, humor, and support on a daily basis. Now I have an amazing network of not just colleagues, but friends. Amy, and Mary are no longer just virtual colleagues but are my trusted friends. Their names have been integrated into my home as well as my heart. The circle of admiration, love, and respect grew as we added more members to our #G2Great team with the addition of Fran. I had met Fran over the years at NCTE and Teachers College. Now I have come to know her as a smart, gentile, and steadfast person who has enriched my life in many ways. Again, it is my privilege to call her friend. 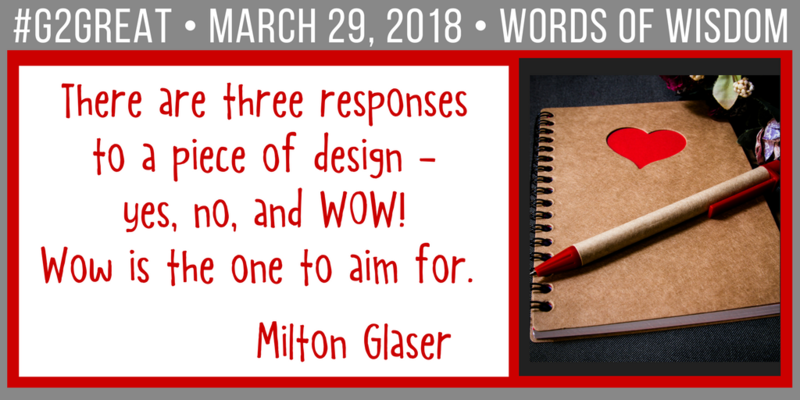 There are so many lessons that #G2Great has taught me so far – but the most important is when presented with an opportunity to learn unabashedly say YES. Don’t be afraid to reach out and connect with others – grow your thinking – build relationships! Just say yes to it all without fear or shame. As a result of my choice to begin this #G2Great adventure I have built a network of friendships that have forever changed me. So, the choice is yours, what will you decide to create in 2018? I really can’t wait to see what happens next. Pictures tell a story, and sometimes they tell more than one story – like the multiple plot lines we learn about when we read great books. Recently a photo popped up on my phone. It was a photo of me with Barbara Marsicano and Danielle Goncalves – two of my closest friends from my former school, reading teacher friends, or as we were often called, “The Lovely Ladies of Literacy.” In that selfie we were capturing the three of us at Teachers College Reading and Writing Project on a day we attended to see Dr. Mary Howard present on RTI. The story that is also tells is the beginning of my collaboration with Mary and Jenn. 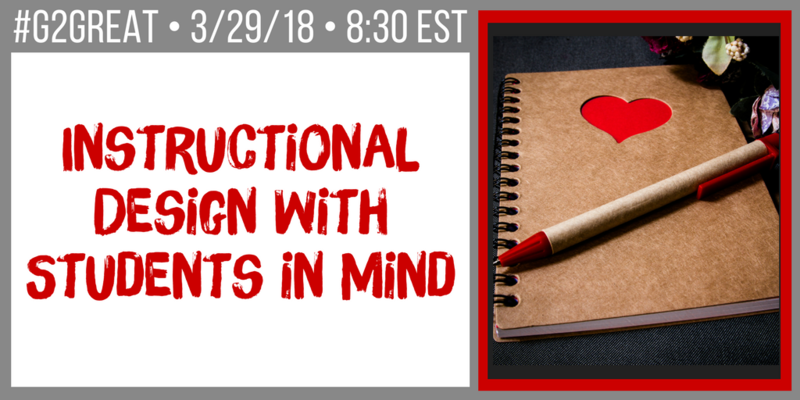 I did not realize at the time that day would be one that would set me on a pathway to an amazing collaboration that has become the #G2Great Twitter Chat and the Literacy Lenses blog. Working alongside Mary, Jenn and now Fran I am grateful for the connections that have grown into friendships and have helped me to grow both personally and professionally. Each Thursday night as we gather around the #G2Great table to chat I reflect on this pathway that brought us all together. Everything. I started the #G2Great chats this spring I think with a focus on my favourite book Disrupting Thinking. It was a wild ride but I was so inspired and truthfully fuelled further by the likes and comments from Kylene. I think the power in these chats for my professional development has been the exposure to so much brilliance. Never in my wildest dreams did I think I would have the opportunity to learn from experts in our field let alone call them my friends. That is what #G2Great has meant to me. It has been an opportunity to extend my PLN to build myself up as a teacher and have the opportunity to share my thoughts with others. Most importantly however it introduced me to Dr.Mary Howard who inspires me every morning when I check my facebook while working out, who is a cheerleader for all educators and I am so honored to call my friend. Have you ever gone to see a movie with no idea what it was about? And then loved the movie and been blown away by what you stumbled into? That describes my first experience with a #G2Great chat. I don’t even know how I happened into the chat, but I knew I’d found a network of my tribe. I also knew I’d be back the next week. I believe as teachers we need to be connected to groups of other teachers who can stretch our thinking, give us new ideas, and keep us thinking. For 19 years of my career I was part of the Reading Recovery network. The network was my professional home, so when my site closed, I felt very much adrift professionally. Of course I had close connections to wonderful educators in my school, but I honestly think we need to connect beyond the walls of our school in order to really grow. This is what #G2Great provides – a network beyond the walls of our schools, where we can keep our finger on the pulse of our profession. 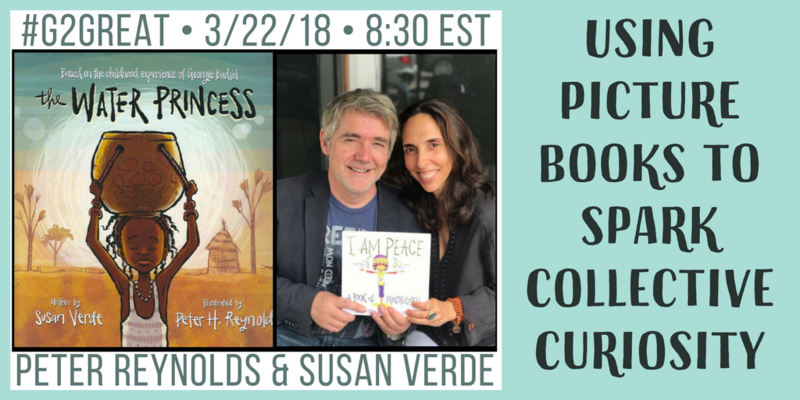 We can learn about the newest professional books, learn from the authors themselves, and best of all, learn from teachers from all over the globe who value literacy and share common philosophical beliefs. Thank you to Mary for creating this network and also to Amy, Jenn, and Fran for being so incredibly welcoming to all who stumble in. 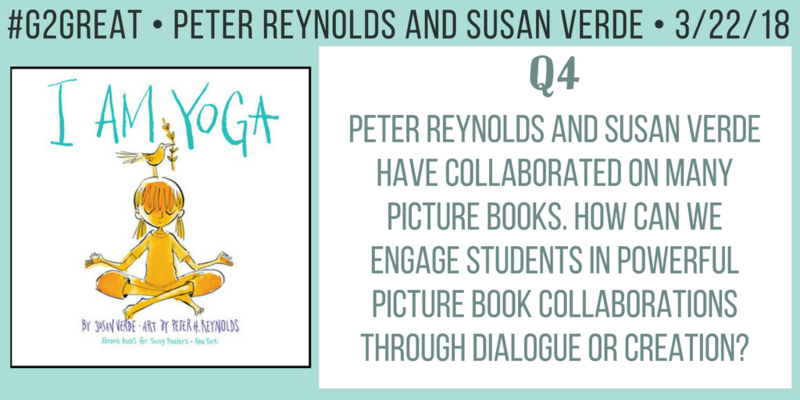 Much like Susan, I had no idea what I was getting into the evening of my first #G2Great chat. I remember it being kind of scary at first. 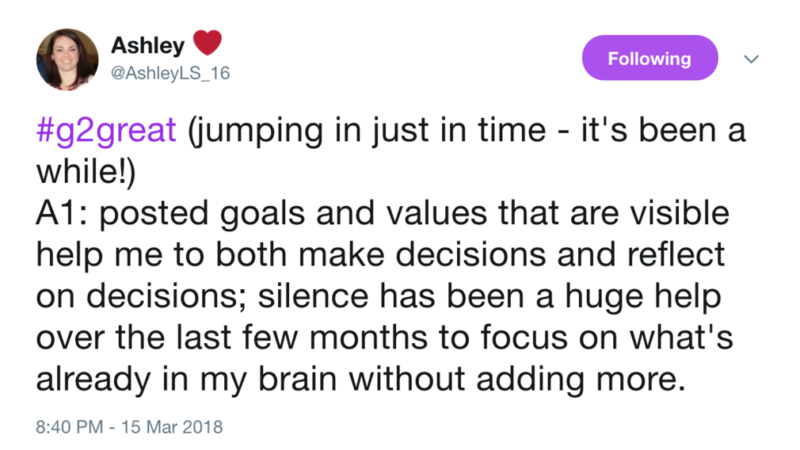 I sat back watching the tweets literally fly by on my phone- before the end of Q1 I told myself it’s now or never, just DO IT! I jumped in and the rest is history. Fast forward almost 2 years and I am part of one of the most inspiring and powerful PLNs in the world. Every Thursday evening in my house is Twitter Night, I sit with my phone and computer ready to interact and learn something. 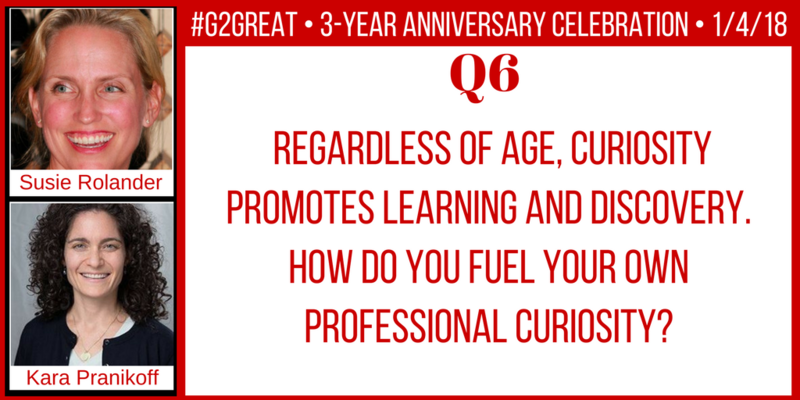 I have always been hungry to learn more and the #G2Great chat feeds my curiosities and need for professional learning. Who knows where I would have been had I not connected with this great group of educators, maybe in the same seat I am today, maybe not, but I wouldn’t have access to such a wonderful PLN. Words cannot express my gratitude and thanks to my personal champion, Dr. Mary Howard, for igniting this fire within me and letting me join the club! 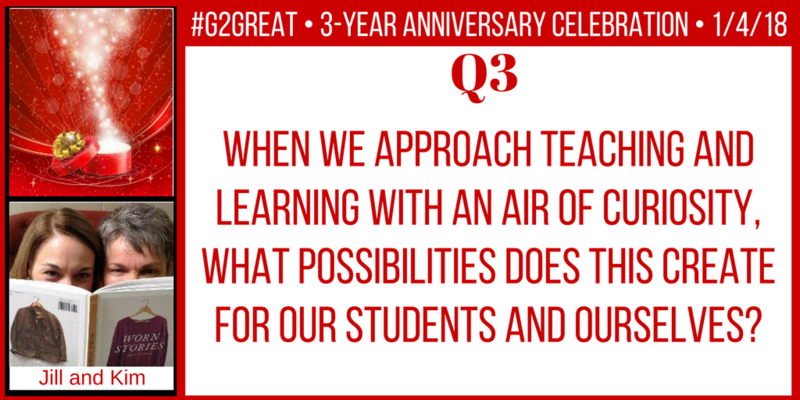 #G2Great was one of the first chats we discovered after we joined Twitter. We soon realized that this is a community of passionate and dedicated educators who gather on Thursday evenings to celebrate, challenge, and inspire one another. 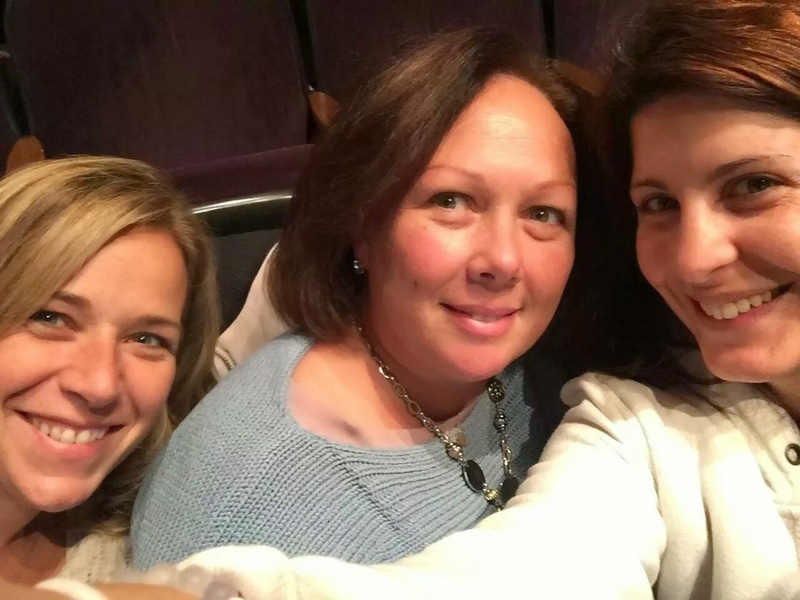 Thanks to Mary, Amy, Jenn, and Fran we are able to connect with educators who believe in the power of putting children at the center of all we do, of seeing students’ strengths instead of focusing on deficits, and of finding joy in our work. We are grateful to be in the company of educators who truly live and breathe their love for learning. Thoreau went to Walden Pond to find peace and support in the vibrancy and peaceful joy of nature. Good to Great has been a respite of joy and hope for me during each week, a virtual Walden Pond. It is a miracle to be able to connect with other like-minded educators from all over the world and to truly experience a sense of community. Teachers understand each other in a way that brings an instant sense of comradery and acceptance. I am so blessed to continuously learn and make new friends because of this extraordinary chat. And a very special thank you to Mary, Jenn, Amy, and Fran! 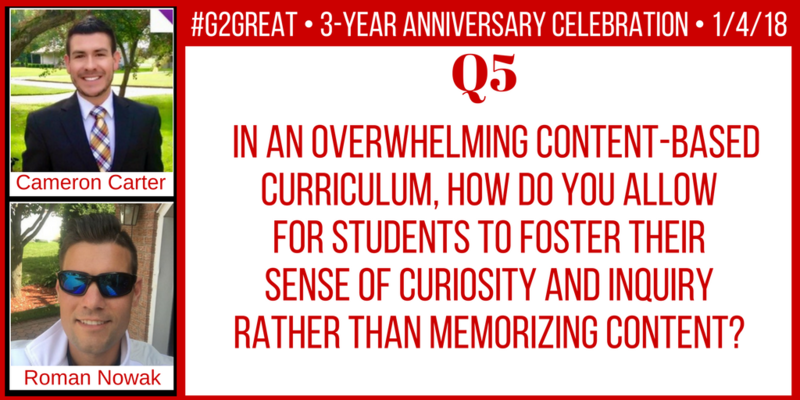 I stumbled upon the #G2Great chat haphazardly this past year and it has changed my outlook on education. The questions, the exchanges, the topics, have allowed me to delve deep into my pedagogical beliefs and create a stronger voice for what what I believe in. In the fast-paced life of education, we usually try to get things done and make things efficient. I have learned and been empowered to constantly act upon my learning beliefs. It is important to stand up for what we believe in, to give the underdogs a bigger voice. We can’t simply accept what is done without questioning it. The leaders and educators on this chat, all keep inspiring me to be better, to keep pushing limits, to collaborate, to make a difference. We can never become complacent, never give up. We must always try to be better, for our students, for their hearts, for their curious and learning minds. I was introduced to the #G2Great family through Dr. Mary Howard when we met “virtually” via Twitter. Our conversations of student learning, engagement, and professional development sparked a special connection! I was fortunate enough to meet the #G2Great team at the National Council of Teachers of English convention in November of 2017. It was as if we all had known each other for years! The connections we make with our colleagues, whether virtual or in person, are focused around one goal: building learners. I am so glad I met my “tribe” of professional learners who view learning the same way as I. Thank you for all you do for children and teachers across the world! We must all continue to learn and grow to go from good to great! I will admit it, I was hesitant to connect on Twitter. The thought of all those voices coming at me at once was overwhelming and I could not begin to imagine how I would be able to tune in. I really like to listen, intently and think with depth. I could not imagine how that could happen online. However, I trusted Susie and when she introduced me to Dr. Mary Howard at NCTE 2016 and the rest of the #G2Great family, I could not resist. I waded in and now I’m hooked. (Susan talked about the overwhelming pleasure of stumbling into an unknown and delightful movie. That is a powerful description for me, too.) The amount of information that is shared each week is incredible. I always feel like you can see the lightbulbs of professional learning link across the map. 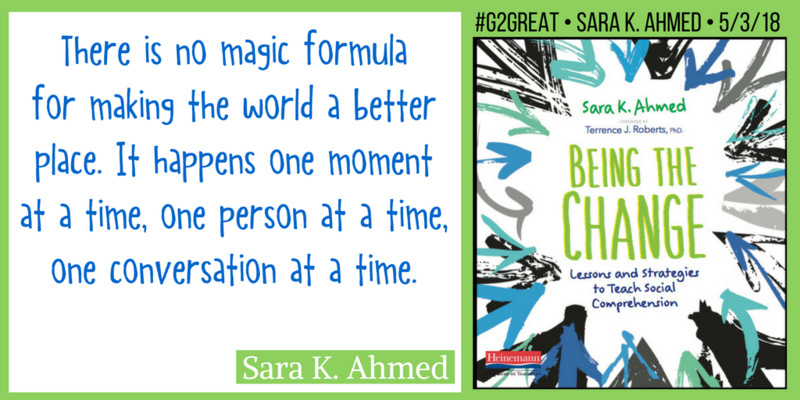 These #G2Great chats each week are an instant injection of inspiration. I’m pushed in my own thinking by what others have to share. 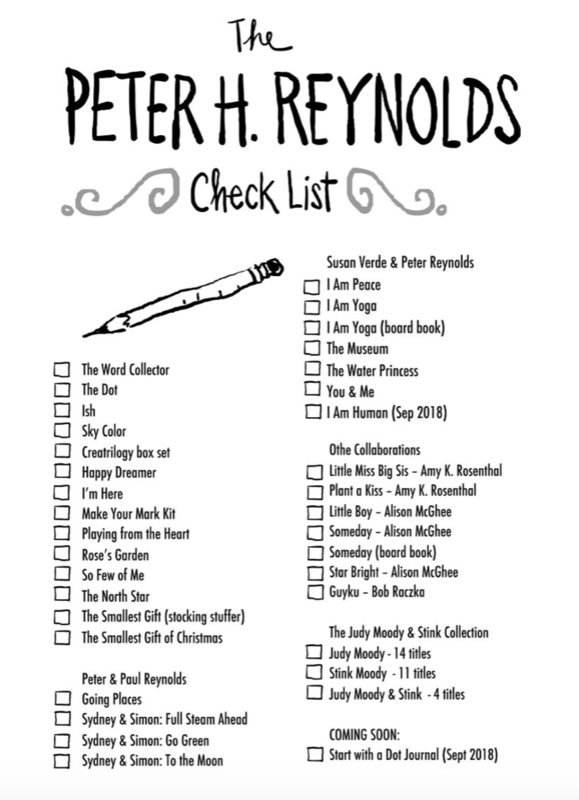 I get off the chats each week with a list of authors to seek out and strategies to try on my own. All of this is because of the community that has been built through these chats. Learning is social and in a digital world Mary, Fran, Amy and Jenn have figured out how to connect a tribe of kind, thoughtful, supportive and engaging teachers from around the world. My #G2Great family reminds me each week why I’m proud to be a teacher and honored to have such deep and grounded colleagues. 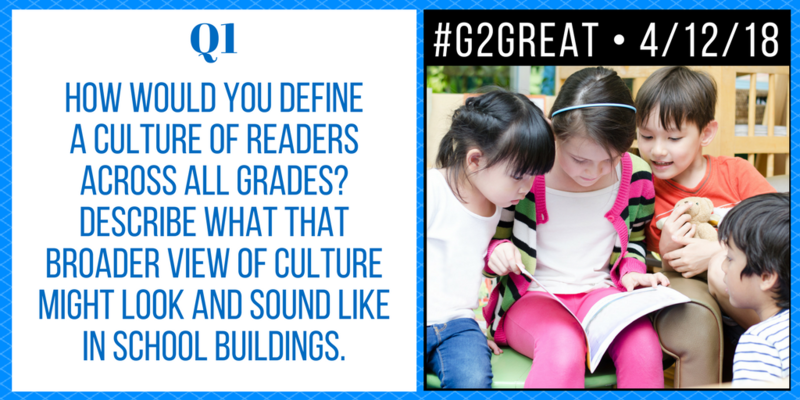 I stumbled into the #G2Great chat a few years ago as I was in traffic along the FDR after teaching at Bank Street. (I was not driving!) I remember being a newbie to Twitter but wanting the traffic to continue because I wanted to stay on the chat! I felt like for the first time, the walls of the school where I was teaching disappeared and ask Kara describes, there was a glow around the US (and Canada) with the amazing ideas that were flying across the screen! I was hooked! Never in my teaching career have I felt so inspired and excited to be a teacher than after I started tuning into #G2Great every week. The depth of knowledge, breadth of experience and passion for teaching that the #G2Great community exudes lifts me up each week. In addition, the friendships I have forged with Mary Howard, Justin Dolci and many others in the #G2Great family are life changing. Lastly, it has provided such an incredible link for many of the new teachers that Kara and I teach at BankStreet to such a rich PLN. To see their faces light up when an author of one of our readings is featured on #G2Great and they can actually ask them questions is priceless. This chat has not only changed my life but continues to enrich the lives of new teachers in their process of establishing their own PLN. #lifechanging. The #G2Great community has impacted my literacy practices since I first joined. It has been a go-to place to discuss the best of literacy trends and chat with amazing, passion-filled educators. I not only have made virtual edufriends but lifelong, face-to-face ones. The moderators are open, collegial educators who support and honor all voices. No matter how much time might be between my visits to the PLN, I am always greeted with enthusiasm, thus, making the hour of engaging chatting a worthwhile experience. May my experience be so for all. Growing up, I was a lucky kid. I had a friend whose family treated me like a brother. Every time I showed up, his parents shared their wisdom. They were happy for me whenever I did well, and if I were ever in trouble, their firm scoldings mirrored what my own parents would say. There was always food on the table if I was hungry, and encouragement to go around if I needed a boost. The #G2Great community is like that. Like any friend, I don’t get to stop by as often as I would like, but every time I show up at the #G2Great “house”, there is plenty of practical wisdom, sage advice, thoughtful research and love to go around. I am a better educator because of them. 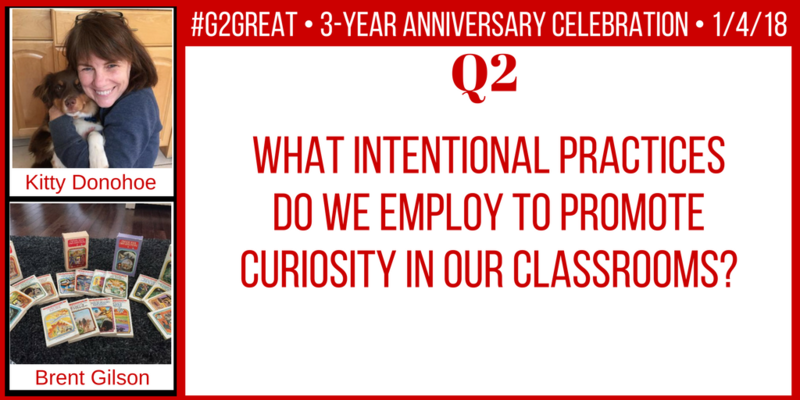 #G2great has become an important part of my life. It has been an unbelievable three years of connecting, building friendships, reflecting, sharing,questioning and growing.Gathering on Thursday nights has energized me when I’m feeling drained, inspired me when I need it most, and always fills me with hope, possibility and courage to take action. I’m grateful for the time, energy and love that Mary, Jenn, Amy and Fran give to make these chats happen every Thursday. You are changing the world one chat, one classroom, one school, one community at a time. Thank you #G2great! I am what Jason Reynolds would call a “newbie” – to Twitter and to #G2great. You have provided a welcoming platform as a dress rehearsal for floating and validating my ideas. In the process, you’ve also offered a treasure trove of wonderful educators to follow and emulate. I am super curious about what 2018 will bring with all of you paving the way for greatness! Thank you, #G2great leaders, for your continued passion for curiosity and commitment to improving the practice of teaching, one educator at a time! 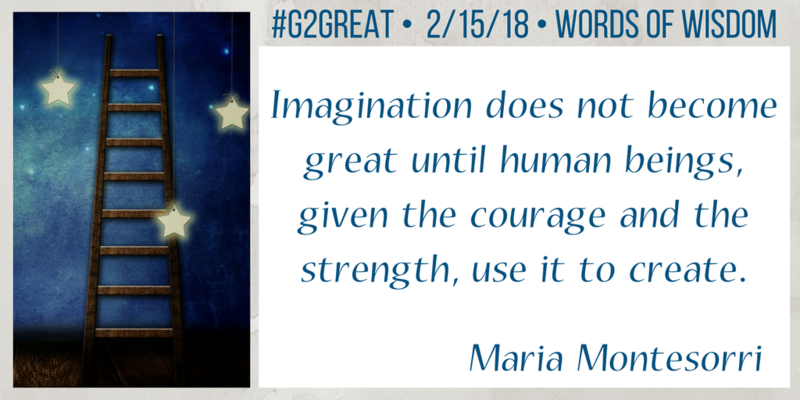 When a friend told me about Mary Howard’s #G2Great Twitter chat, I nervously showed up on a Thursday night in February, 2014. A complete novice to Twitter, I found myself in the company of the most amazing group of educators. They made me feel safe to share my thoughts, secure in holding tight to my literacy teaching values, and empowered in my role as an educator as they warmly welcomed me into the fold. Sharing in the study of Mary’s book, Good To Great was just the beginning of a transformational experience for me. The friendships that ensued in the 3 years that followed have been some of the most impactful both personally and professionally in my life. Thursday nights I can count on being challenged to be intentionally reflective in everything I do as an educator. 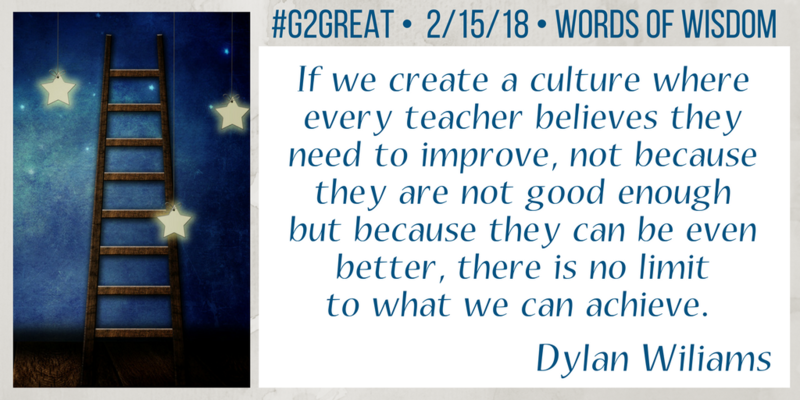 I have been a regular on #g2great for a year and it has made a huge difference in my learning and building my professional learning community. Mary has been accessible to me and all members because her HEART reaches out to us, to teachers she learns with and to children. #g2great has introduced me to books I might have not read and I have made friends with teachers all over the country! To be able to contact others for help with a problem or question means do much! Mary, by example, shows the importance of listening to and supporting each other. 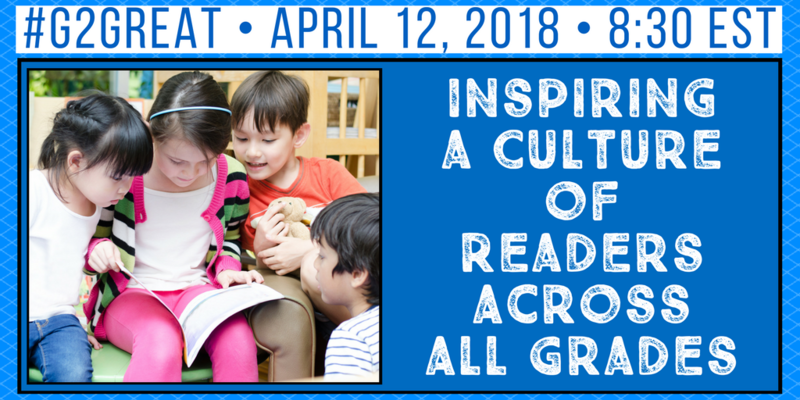 Each week is an opportunity to learn, reflect, share, and be uplifted by the #g2great community! It is also heartening to know there are so many educators who fight for children and want to help them learn and love Reading. Thanks to everyone for making the #g2great such a fabulous community of learners! And Mary, thanks for giving all of us so much to reflect on and share! #G2Great has become a Thursday night mainstay for me. The dedication of the moderators, Mary, Jenn, Amy and Fran, instill empowerment to those of us whose heart lies in doing what’s best for our students. Sharing views and practices to help us understand the literacy needs of our students, using best practices, has been a powerful learning tool for me. Many times I go from the chat to a reflective post on my blog. Thanks to all for this platform. Thank you for everything you do for children my friends. On a personal note, thank you for breathing new life in my book and keeping the Ten Lesson of Good to Great Teaching at the center of your practices. #G2Great is in your honor and it has become a force of good because of each of you. We know that this anniversary celebration would not be possible without you….